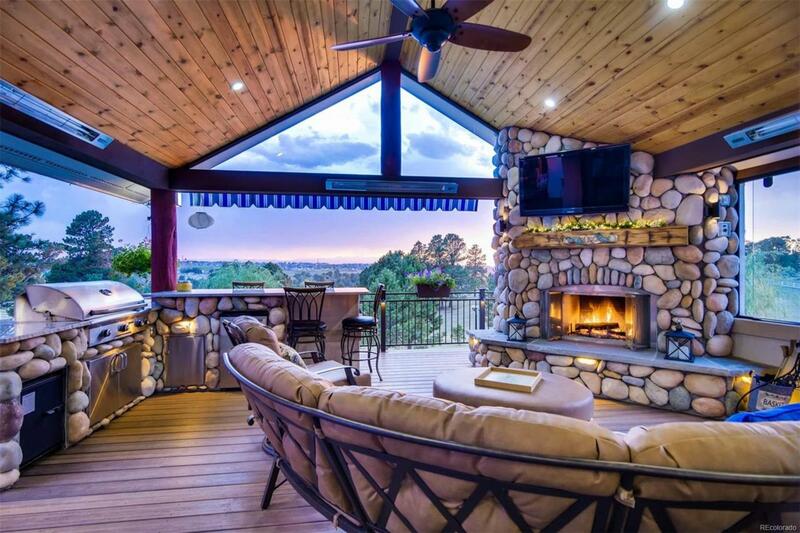 Inspirational Viewswith privacy like no other, yet close to everything! 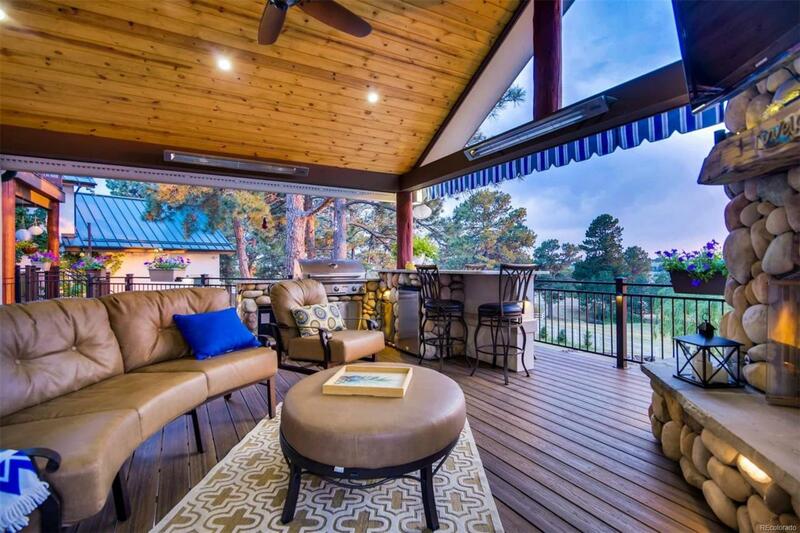 Enjoy the hundreds of mature Ponderosa Pine trees and tranquil setting while sitting on your deck enjoying a Colorado Sunset over the mountains! 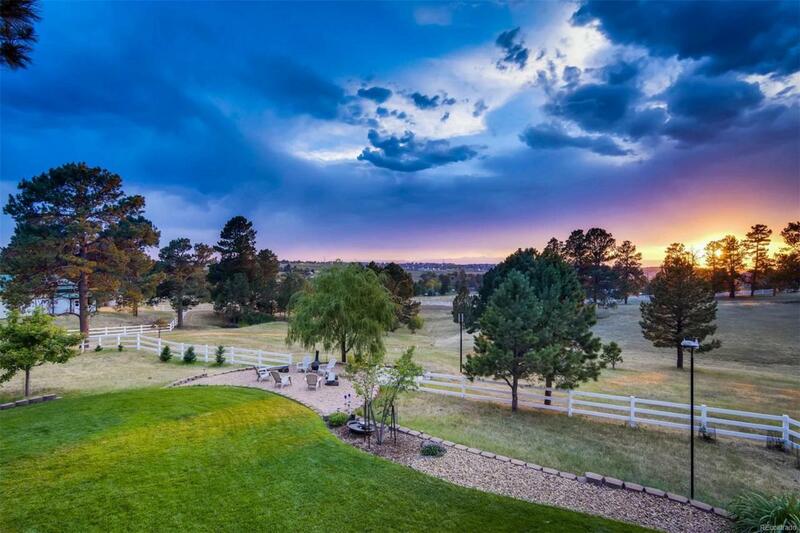 You cannot find another property that has the quality and location of this "One of a Kind magnificent Colorado Estate. A 40 Foot vaulted entry (Cupola) greets you at the front door, and the dramatic 7 foot wide Pine Wood staircase will take your breath away. Some incredible details include: Viking 6 burner stove;custom stainless hood;Chefs sink;maple cabinets/hardwoods;2 laundry rooms;incredible storage;fully fenced;water feature/stream;3 ponds;back stairwell to access south wing;heated garage/tool room;riding arena;wrap around covered porch;vineyard;garden and heated clear span steel building. Newly added covered outdoor living area is usable all year long and offers heaters, natural wood burning fireplace, built-in kitchen, with eating area, and the views are included. 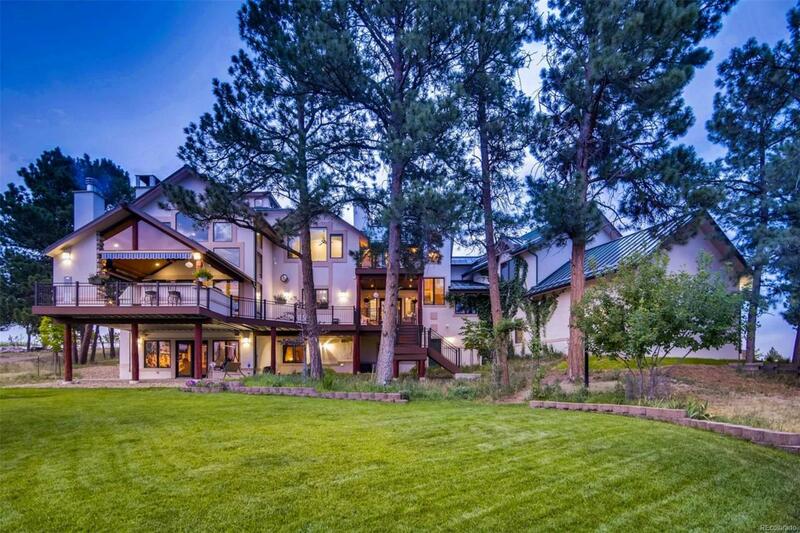 Offered by Mb Realty In Colorado Llc.